Dr. Billy Taylor exited the stage of life on Dec. 28, but his legacy as a jazz Renaissance man will most certainly live on. He was perhaps the foremost jazz educator of the past 50 years, sharing the gospel of jazz not only in books and classrooms, but also with millions of people as a radio and television broadcaster and worldwide ambassador of the music. The Grammy Award winner also founded several institutions dedicated to the preservation and continuation of jazz, which he famously called "America's classical music." Taylor launched Jazzmobile in 1964 because, as he once told me, "There was a time when they were not doing what they should do with education in schools. We thought that was a problem. And we also found that many of the people who were a part of our audience couldn't afford it. So we decided to give free concerts in neighborhoods, and it worked." Taylor was a correspondent on CBS Sunday Morning, where he would regularly interview jazz musicians young and old. He conducted an estimated 250 interviews for that program over 20 years, and won an Emmy award in 1983 for a profile of Quincy Jones. 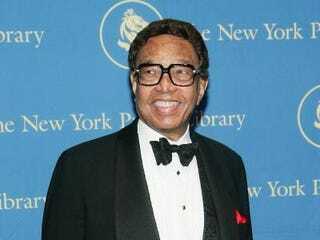 Taylor was a popular jazz DJ on WLIB and WNEW in the 1960s and, before that, musical director of the very first television series on jazz, The Subject Is Jazz. In this excerpt from 1958, he explains and demonstrates improvisation and composition approaches used in the jazz idiom. In this one, he plays with Duke Ellington Orchestra saxophonist Ben Webster. "Billy Taylor's yeoman service and devotion to jazz will be hard to replace," tenor saxophonist Sonny Rollins told The Root. "He may be irreplaceable." Taylor's seeming ease in explaining jazz to laypeople and musicians alike came from his warm personality, deep education and secure upbringing. Born in Greenville, N.C., he grew up in Washington, D.C., in the bosom of black American culture expressed in his family and felt in his environs. His mother was a schoolteacher, an early example that he followed over the course of his life. "Washington, D.C. … was segregated, a very closed society, and yet I had everything there I needed," he told an interviewer for the NEA Jazz Masters program in 2007. "I had wonderfully trained classical musicians, who played the classical repertoire in church. I lived two blocks from Howard University and so I heard really first-rate artists when I was a kid." His father, a dentist, had a beautiful singing voice, and the paternal side of his family was filled with musical talent. His father made sure he took music lessons, and his uncle Bob, a ragtime piano player, gave him records by Art Tatum and Fats Waller. After hearing those piano virtuosos, Taylor was hooked. But Taylor's real education came on the bandstand. As a teenager, he played with Jelly Roll Morton and Waller and took lessons from Duke Ellington's piano teacher. In 1944 he moved to New York, where he met Webster, a great tenor saxophonist, at Minton's Playhouse in Harlem. Within three days of arriving in the Big Apple, he'd landed his first gig. Taylor became the house pianist at Birdland, the club on 52nd Street named after alto sax pioneer Charlie Parker. He was mentored by the peerless Art Tatum and played and recorded with a who's who of jazz royalty for more than 60 years, playing alongside Webster and Coleman Hawkins. He played stints with Dizzy Gillespie that included the young John Coltrane, spent a week or two with Parker and strings at the Apollo — and then formed his own trio in the early '50s, in which Charles Mingus and other notables performed. But "Dr. Taylor," as he preferred to be called, was an accomplished composer, too. One of his most notable compositions, "I Wish I Knew How It Would Feel to Be Free," became a staple of the civil rights movement and was covered by Nina Simone in 1967. His "Peaceful Warrior Suite," composed for jazz trio in memory of Martin Luther King Jr., is another favorite. As a pianist, Taylor played with a feathery-firm touch, influenced by Teddy Wilson and Nat King Cole, among other early- to midcentury piano masters. He was trained in the European classics and was adept in the full scope of piano styles that developed throughout jazz history — whether ragtime, blues, boogie-woogie, stride, bebop or modal — maintaining an uplifting feel of swing through them all. Like Tatum, he could play figures on his left hand that other pianists had trouble playing with their right. He was especially moving on ballads, and considered those his forte. Loren Schoenberg, who was Taylor's next-door neighbor in Riverdale, N.Y., and executive director of the National Jazz Museum in Harlem (where Taylor served as a board member), said in an e-mail: "Much has been said about his career and public persona. But for those of us fortunate to live in close proximity to him and his lovely wife, Teddi, he was purely a wonderful person to encounter on a regular basis in a domestic setting. It sounds too simple to say that running into him was like happily encountering a ray of sunshine, but that's what it was like. He gave generously of himself, of his time, his knowledge, and his innate interest in you. Negative viewpoints didn't interest him in the least; the glass was always at least half full to him." Pianist, composer and bandleader Ramsey Lewis followed in Taylor's footsteps as a broadcaster on radio and television. He told The Root that Taylor came to his very first recording session in the mid-1950s and encouraged him. They became friends thereafter. "Billy Taylor was a special person, not only to me, but to so many people," Lewis said. "But it was quite like Billy not to let on, if you will, how many people he had helped along the way, how many he had mentored, how many young people he supported on the way." Among those Taylor mentored is pianist Geri Allen. In an interview with The Root, Allen described him as "our Peaceful Warrior," a reference to his King tribute, and an "eloquent protector of jazz and its American heritage." Earlier this month, Allen moderated a tribute to Taylor at the Riverside Theatre in Manhattan. Performing that night were three marvelous young talents on piano: Gerald Clayton, Jonathan Batiste and Christian Sands, the latter of whom had been under Taylor's wing for several years. Taylor, though frail, was in attendance — beaming. It would be his last public appearance. "I think that if there was someone from Mars who landed here and who said, 'Pick out five specimens of who you think exemplified what human beings should be like or could be like, because we want examples of how good people can be,' " Lewis said, "Billy Taylor would be at the top of my list."